Ian McCall has left his role as manager at Firhill. Ian McCall has quit his position as manager of Partick Thistle with immediate effect. The 46-year old leaves the First Division club after nearly four years in charge. Thistle are expected to issue a statement confirming the departure on Friday afternoon. 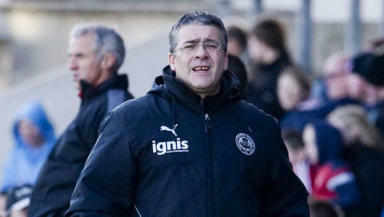 McCall leaves the club in a mid-table position in the Scottish First Division. After taking charge in 2007, he led the club to a mid-table finish in his first season but the club were First Division runners up behind St Johnstone the following year. Acting Chairman of Partick Thistle David Beattie said: “It is with great regret I have accepted Ian’s resignation as manager of Partick Thistle FC. I fully respect and appreciate Ian’s reasons for wishing to leave. “Personally I’d like to thank Ian for his contribution to the club. He is popular with the supporters, directors and the players and we’ll miss him”. Ian McCall said, “This has been the most difficult decision I’ve ever had to make. Living in the West End of Glasgow, Partick Thistle FC has been a huge part of my life. “I’d like to thank both the players, supporters and the board for their support over the years, and I wish the club all the success for the future”. Jackie McNamara has been appointed as caretaker manager until the end of the season. The club hopes to take a decision on a permanent successor to McCall in time to prepare for next season.